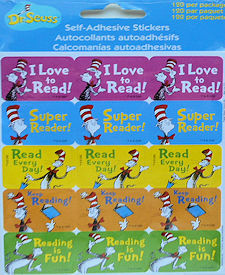 Here is a package of Cat In The Hat stickers that celebrate Reading. There are 120 stickers in this package. Each sticker is 1 1/8" high x 1 3/8" wide. New.